NMM 7717. Mira harmonica by Andreas Koch, Trossingen, Germany, ca. 1920. In the 1920's, the Andreas Koch Company made many unusual harmonica models. 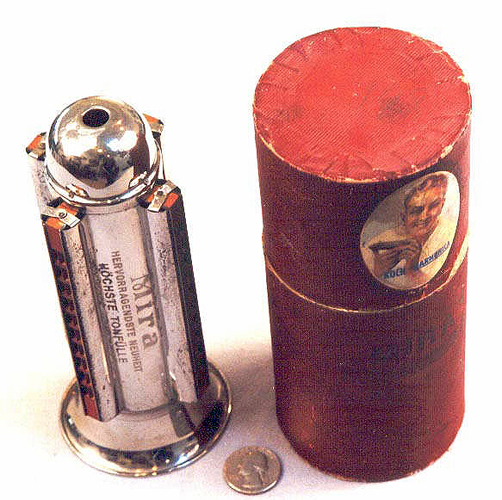 Although four-sided harmonicas were common, this version, with the harmonicas mounted in a central horn-resonator, is unique as far as is known. The original cylindrical box makes it even more of a rarity. Alan G. Bates Collection, 2000.